Taking over a program with two winning seasons over the previous 17 years is a tall task. Some even called the decision a mistake. Coach Gary Pinkel stood behind it at all times, and under his leadership, the University of Missouri football program became one that made its mark within the oational college football landscape. Coach Pinkel took a team to 10 bowl games in 14 seasons. That’s a stark difference, but the turnaround isn’t a miracle. 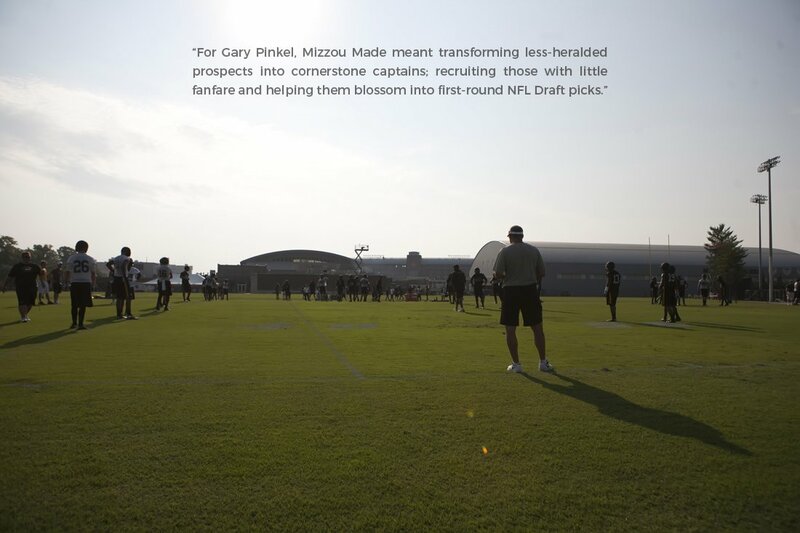 Coach Pinkel’s vision, plan and supporting system was in place from day one to ensure a successful road, but sometimes the most complex job requires a simple and consistent phrase to unite those being impacted. You’ll notice, there’s no mention of football, toughness or strength, nor does it look like the typical list of values a football coach might hang on a wall outside of a locker room. No, Coach Pinkel was more focused on developing his players the Mizzou way than he was his players making a tackle. The natural result was a team that knocked on the door of two national championships, played in four conference title games and put nearly 40 players in the NFL — the tackling and the toughness became a beautiful byproduct. Mizzou Made taught players how to compete, avoid distractions, be committed, be accountable and put the team above self. And all of this was fostered in a no-excuses, honest environment. Mizzou Made meant less-heralded prospects were transformed into cornerstone captains and recruits with little fanfare were made to blossom into first round NFL Draft picks. Men were formed, and they were Mizzou Made. Today, Mizzou Made not only represents Mizzou football’s philosophy, but in 2016 the phrase was adopted by the entire Mizzou Athletics department as an all-encompassing framework of development and accountability. Currently, it’s implemented across all sports as a comprehensive, strategic student-athlete development program designed to enhance the student-athlete experience. Mizzou Made aims to bring student-athletes to the utmost level of preparedness for life following graduation. Talk about a legacy. Coach Pinkel’s is one that’s been Mizzou Made.